Congratulations to the winners of the 2019 Roadway Safety Poster Contest! Earlier this year the Connecticut Training and Technical Assistance Center asked students from around the state to help promote roadway safety through art. 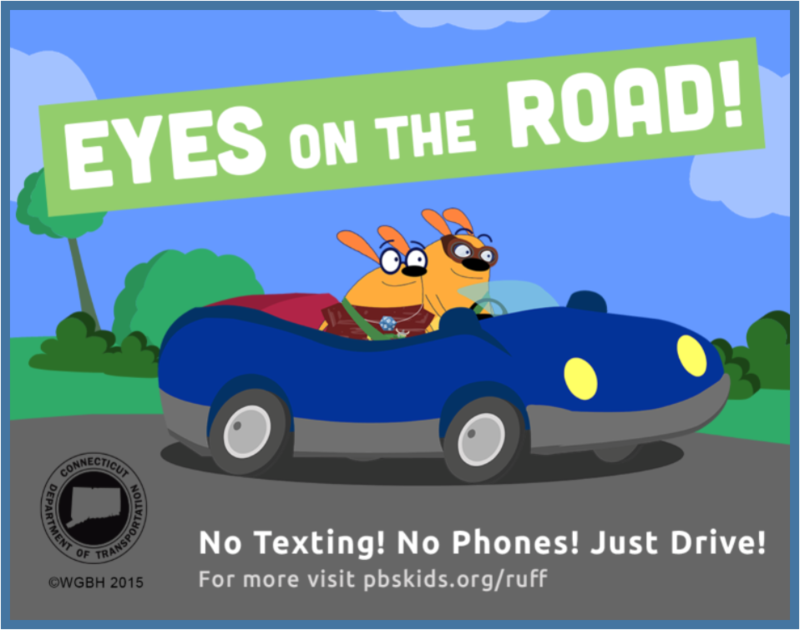 After visiting the PBS Kids’ Ruff Ruffman Driving website (a site to access resources including games and surveys to encourage kids to become better passengers and to play an active role in helping their parents to keep their eyes on the road), students in grades K-6 submitted their poster designs depicting how to be safe as a pedestrian, bicyclists, or driver. 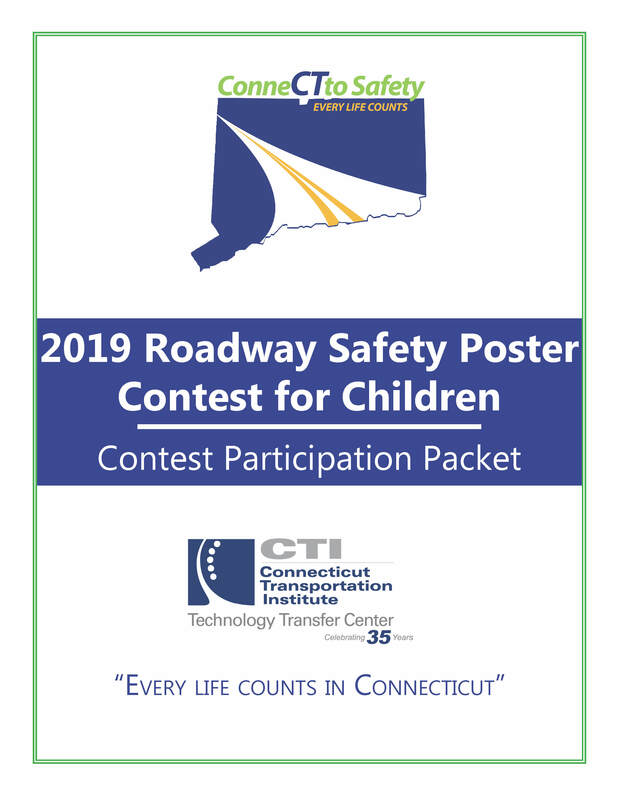 Submitted entries were reviewed by a panel of roadway safety professionals from the Connecticut Department of Transportation and other local Connecticut agencies, and a winner and honorable mention were selected for three age categories: K-1st grade, 2nd-4th grade, and 5th-6th grade. Monday, April 8th, the three winners and the three honorable mentions were invited to attend the Connecticut Work Zone Awareness Press Conference, held at the Newington Department of Transportation building. There, the students were presented with ribbons and gift baskets to honor their artistic achievements. As a special surprise police officers and public works professionals from each of the students’ respective hometowns were invited to attend the press conference and give their congratulations. 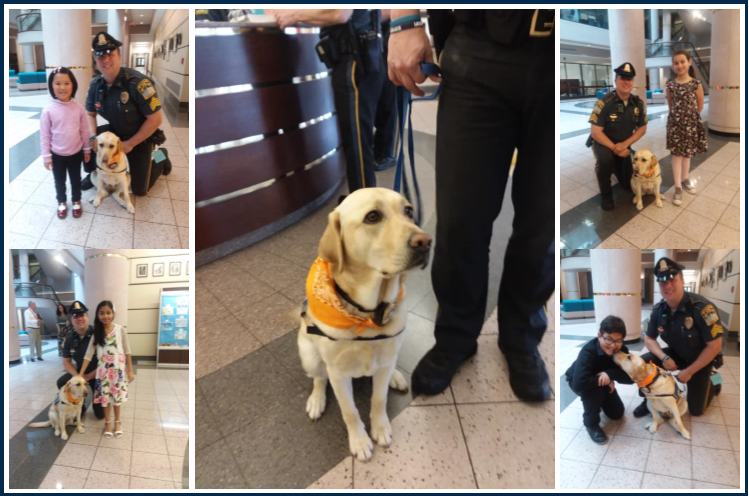 The students’ favorite surprise guests were University of Connecticut Police Officer Cheney and his K-9 Officer Tildy!!! There is both high voltage (up to 23,000 volts) and secondary voltage (120/240/480 volts) inside. All the electricity is coming and going underground. They don’t like to be hit, run over, pushed, spray painted, made fun of, or otherwise abused. 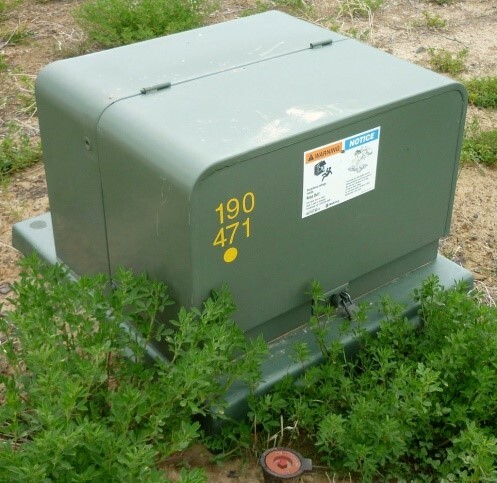 If there is an accidental interaction between a padmount transformer and your plow or vehicle, stay in the vehicle, call 911, and keep people away from approaching your vehicle. If your vehicle is operable and it’s safe to try, you can attempt to back away from the padmount; but remember, it is not bolted down and it will slide or move if you have really jammed it under your vehicle, so stop if it’s coming with you. Stay in the vehicle, and call 911. It is always best to stay in the vehicle, unless it’s a life or death situation. If you have a problem like a fire, remember to jump away from the vehicle, but don’t touch the ground and vehicle at the same time (yes, you can climb out on the steps of the truck to jump from there). Once you land, hop or shuffle your feet until you are at least 25-30 feet away. Look around your work area. If you see a padmount in the vicinity, look for the poles feeding the underground. Could those underground cables be running through your work zone? Get the CBYD mark-out to make sure you know! 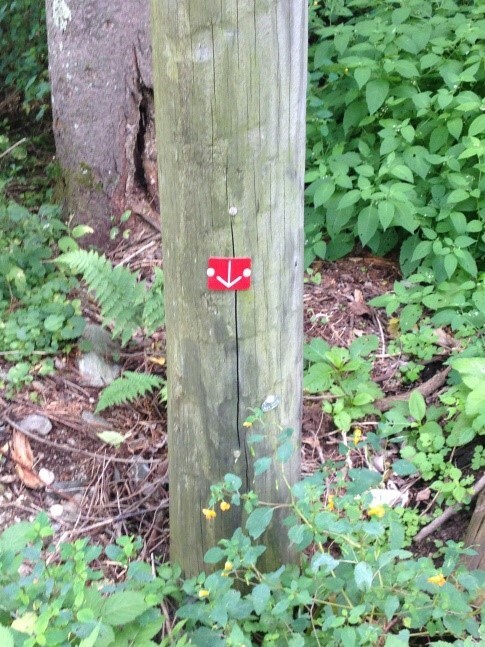 Bonus Round – What does the red tag on the pole mean? The pole was tested and is rotted below grade. This makes the pole a priority for replacement and tells phone and cable workers to not climb or put ladders on the pole. Now you know! People trapped in the car? Call 911/Dispatch, and make sure to tell them to pass the information along to the utility. 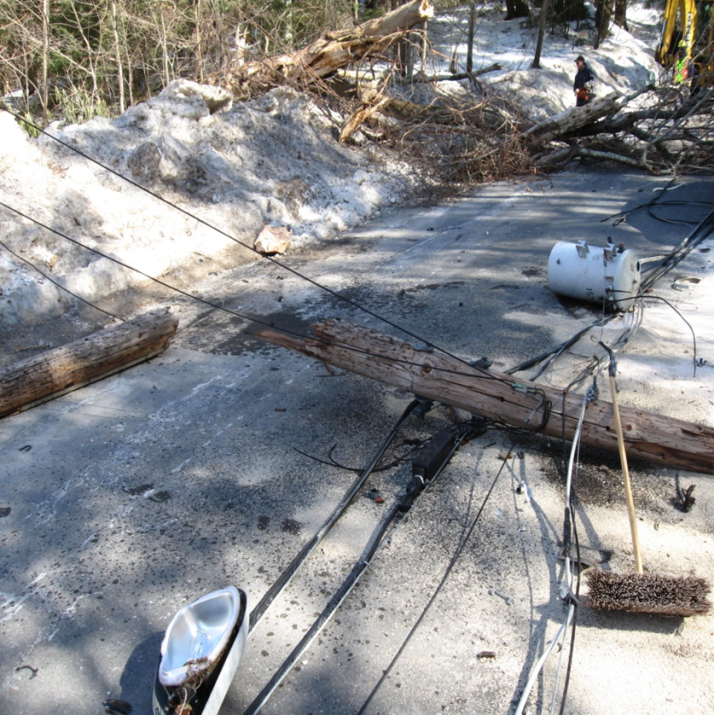 Utilities have priority response to situations where there are lives in immediate danger from wires. Communicate to the people in the car to STAY IN THE CAR! Inside the vehicle is always the safest place to be until the lines can be made DEAD and GROUNDED. If the occupant must leave the vehicle due to another hazard (fire), direct them to jump away from the vehicle and hop or shuffle to safety. 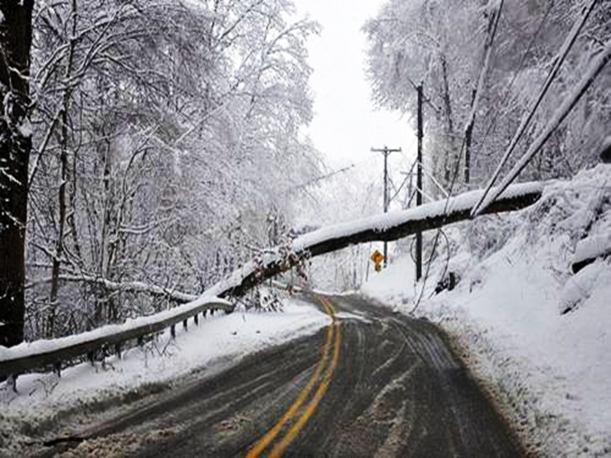 Connecticut has experienced plenty of downed trees and wires on and around vehicles recently. Thankfully, no injuries from the downed wires were reported. Article by Warren Rogers, C.S.P. 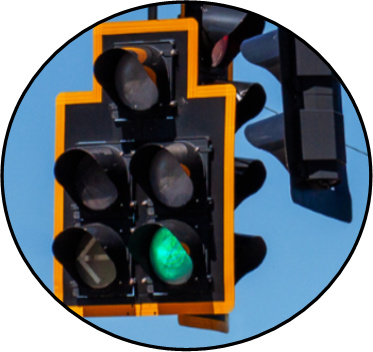 A critical component of any traffic signal management program is maintenance. 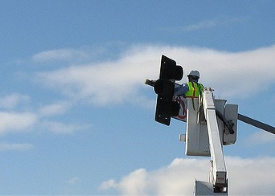 Preventive maintenance ensures that components of a traffic signal system that have a limited service life are regularly cleaned, replaced, re-calibrated or tuned to prevent equipment failures, ensure optimal operations and extend the life of the infrastructure. Reactive maintenance involves providing emergency response when equipment fails to restore the signal to normal operation. 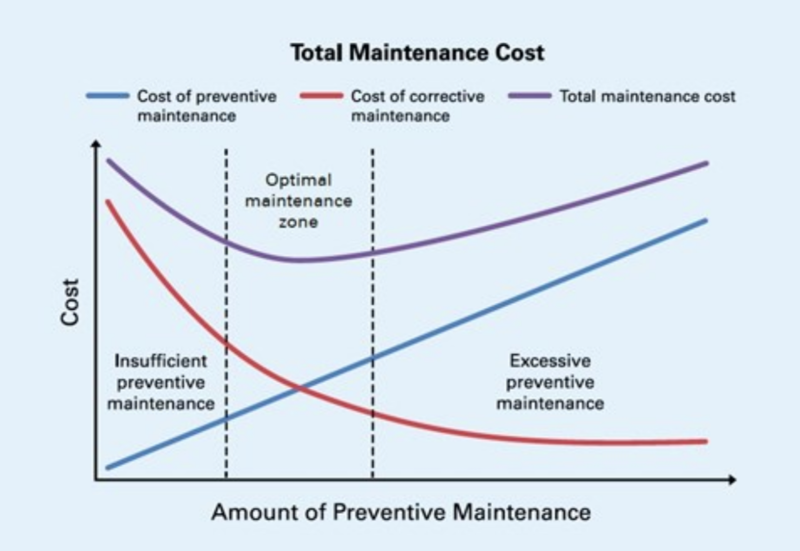 When managing infrastructure assets, preventive maintenance must be balanced with reactive (corrective) maintenance to ensure optimal performance and reliability. This concept is often used in pavement, facilities and fleet management, but is equally applicable to traffic signals. Too little preventive maintenance leads to failures and the need for emergency repairs. Emergency repairs can be costly when equipment, replacement components and compensation for overtime are considered. Lack of preventive maintenance may also affect the performance of a signal – for example, when a loop detector fails or a pedestrian push button sticks. On the other hand, excessive corrective maintenance beyond that which is required can raise overall maintenance costs. According to the International Municipal Signal Association (IMSA), 80 percent of an agency’s technician time should be spent on preventive maintenance while 20 percent should be spent responding to failures or emergencies. 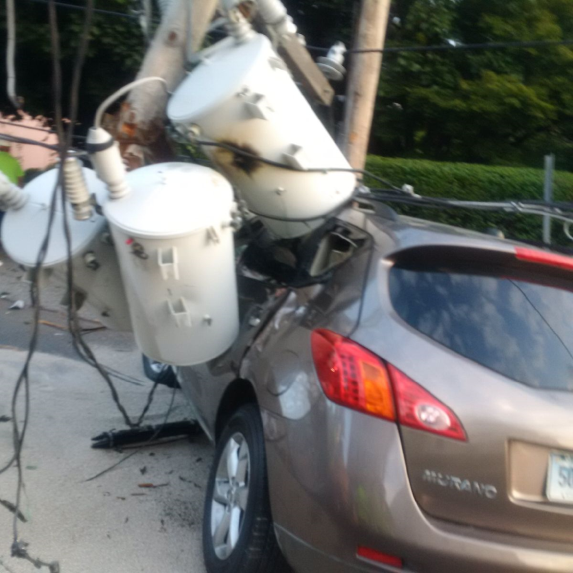 Inadequate preventive maintenance of traffic signals can also have the serious consequence of a failure contributing to a motor vehicle collision. While municipalities have sovereign immunity in some situations, it does not apply when a suit is brought against a municipality for death or injury caused by improperly maintained roads. Section 13a-149 of the Connecticut General Statute states that “Any person injured in person or property by means of a defective road or bridge may recover damages from the party bound to keep it in repair…” A malfunctioning traffic light is considered to create a defective roadway under the statute. Municipalities may limit their exposure to liability by ensuring personnel are properly trained, performing and documenting regular preventative maintenance activities, and using appropriate traffic control plans while performing maintenance. The T2 Center will soon issue a tech brief on preventive maintenance with a sample PM checklist to assist municipalities in planning preventive maintenance activities by in-house staff or including them in vendor contracts. Traffic signals are efficient in assigning the right of way for roadway users, but they are not always the optimal solution. The Federal Highway Administration (FHWA) encourages agencies to consider roundabouts during new construction and reconstruction projects as well as for existing intersections that have been identified as needing safety or operational improvements. This month’s Safety Spotlight features a proven safety countermeasure for reducing vehicular collision rates and severity. Construction on a new roundabout at the intersection of Shelton Road (Route 110) at Monroe Turnpike (Route 111) in Monroe was completed in 2018. 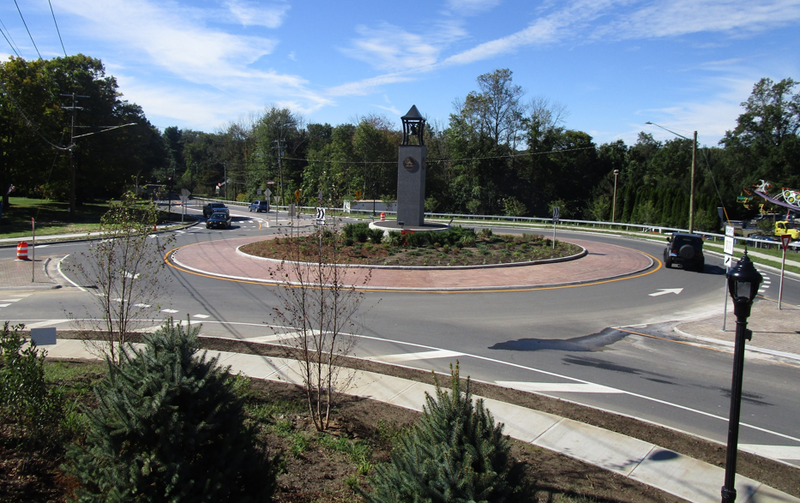 The new roundabout, designed by CTDOT at a cost of $4.1 million, replaces an existing stop-controlled intersection with stop signs on the Route 110 approaches and a flashing beacon. This location has a history of high crash frequency, with 27 crashes in the three-year period from 2008-2010. There were four injuries due to crashes within this time frame, and in the fall of 2012 a vehicle left the roadway at the intersection, resulting in a fatality. Though one can’t truly put a value on a human life, for statistical purposes the U.S. Department of Transportation calculates the figure to be $9.1 million. The statistical value of injuries range from around $30,000 for a minor injury to $1.01 million for a serious injury. In the approximately six months since June 2018 when the roundabout traffic pattern was put in operation, there has only been one reported rear-end collision. The crash occurred during construction and there were no injuries. This reduction in crash frequency is expected to continue. In addition to its safety benefits, the roundabout adds community appeal. According to Monroe Town Engineer Scott Schatzlein, P.E., “there were a lot of complaints about the intersection in its prior configuration, but I haven’t received any complaints since the reconstruction. 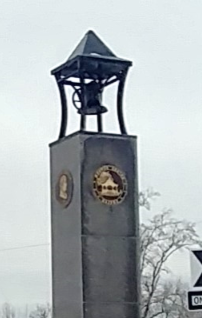 Now, the improvements add to the sense of pride in the community.” The bell tower in the center of the roundabout, which features the town seal and depictions of three sections of the town, has become an important local landmark. The CT Technology Transfer Center, with the support from agencies and organizations around the state, is bringing awareness of roadway safety to Connecticut! Help make the Ninth Annual Roadway Safety Poster Contest for Children a huge success 2019! We want to make roadway safety a priority and are asking the children of Connecticut to help promote safety through art. This poster contest is for children grades K-6. We will have winners in multiple groups: K-1, 2-4 and 5-6. We are looking for creative posters illustrating roadway safety concepts from a child’s point of view. We are accepting submissions until March 8th. Winners will receive prizes and awards at the Work Zone Safety Press Conference in April 2019. Prizes include: Chromebooks for winners and gift cards and a variety of goodies for runner-ups. For the 2019 Poster Contest Participant Packet including guidelines and more information about the contest, click on the link below. The Arch Street corridor in Greenwich experiences heavy congestion due to commuter traffic associated with I-95 as well as the train station and downtown central business district. This congestion results in excess delay and queues that extend onto the I-95 Exit 3 ramp. 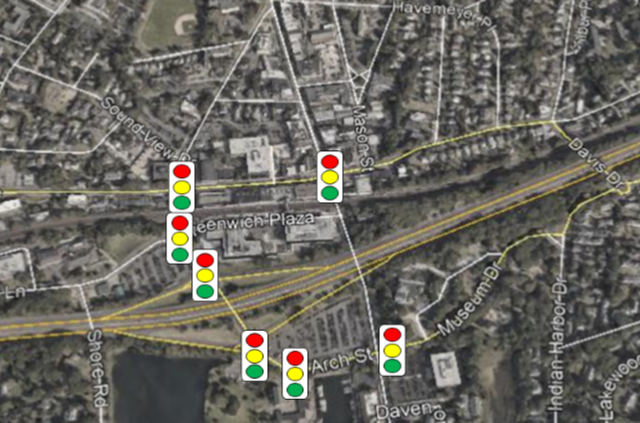 The town plans to alleviate some of this congestion by using an adaptive control system to allocate appropriate green time to the highest volume approach based on existing conditions on the road at that time. 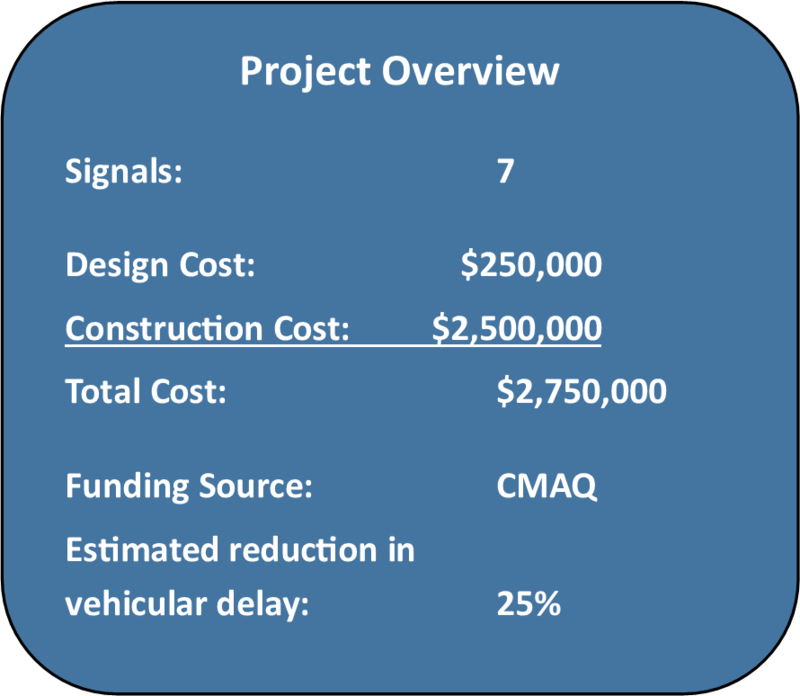 By adapting to the traffic conditions in real time, it is anticipated that the signal system could create better traffic flow, decreasing queuing that occurs on the I-95 Exit 3 ramp, decreasing idling times at red lights and minimizing congestion along the corridor. This corridor will be a test area and if successful, future long-term signal planning would include ASCT at other locations in town. Traffic data obtained on the effectiveness of the ASCT would be shared with FHWA to aid in making ASCT a mainstream tool through the Every Day Counts ASCT initiative.